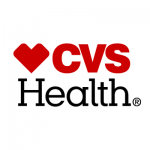 improve patient outcomes as well as reduce cost and improve efficiency across CVS Health The role of Data Scientist will primarily be responsible for developing machine learning and other advanced models that drive business outcomes across CVS. The newly established Machine Learning and Data Science team is an interdisciplinary team of Data Scientists that partners with business groups across CVS to ideate, develop, and deploy analytic models and solutions that leverage advanced machine learning and analytics methodologies. As a member of this group you will work with a highly collaborative team to apply state of the art analytic methods to solve real world problems. findings into predictive models and evaluation results for our business partners. determine how best to leverage machine learning and advanced analytic methods to support business objectives across CVS Health. tools, achieving highly accurate models. computational approaches that enable efficient execution of models and may be able to design and implement modifications and enhancements to the computations. sources, business partner needs, and required timelines. predict what will happen across the business. deadline-driven environment and project related to a wide variety of business settings and clinical needs. (reports, PPT, graphs, figures and tables), formulating recommendations, and effectively presenting the results to non-analytic audiences. on the Advanced Analytics team, candidates will need to have the following experience: A minimum of 7 years of professional post-graduate experience in constructing, validating, and executing machine learning solutions. Fluent and recent hands-on experiences in Python, R. SAS, etc. Experience with computer development platform/ languages (Spark, Java, C++).